Here’s a story that I missed from a couple of weeks ago. FoxNews.com is reporting that a Lakeland, Washington woman was mauled by a group of raccoons while walking her dog on Monday July 9th. Michaela Lee was finishing up a jog with her dog when the pooch spotted a raccoon. The dog pulled free from its leash in order to run after the raccoon. Ms. Lee pursued and was attacked just after she bent down to grab the leash. “As soon as I went down to grab the leash, three other raccoons came out of the grass and charged straight at me. Before I knew it they were at my legs,” said Lee. Ms. Lee said she immediately fled but the angry raccoons ran her down after only 20-25 yards. The attack was brief but left Ms. Lee with nearly 100 cuts and 16 deep puncture wounds on her legs, hands, and forearms. She was able to regain her feet once the attacking raccoons relented and get to the safety of a neighbor’s house. No mention was made of where her dog was during this attack. Ms. Lee, according to the report, will be taking a series of rabies shots over the next few weeks. To say this incident is highly unusual would be an understatement. I can’t say I’ve heard of anything quite like it before. 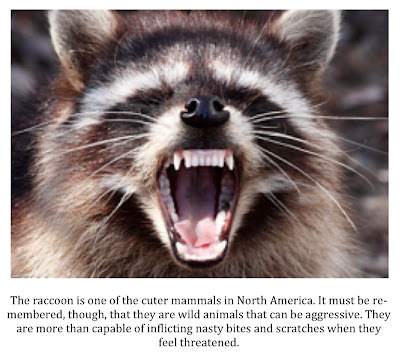 I do know that raccoons can be aggressive and ill-tempered at times but have never heard of a group of them attacking en masse. It goes to show that you must always be careful around wildlife, even cute and cuddly looking wildlife. This report reminds me a bit of an incident I witnessed a few years ago at a restaurant here in town that overlooks Lake Belton. I was attending my wife’s high school reunion at the restaurant. I have to admit to having been a bit bored at this function. I did not attend the same high school as my wife and hardly knew a soul at the reunion. The restaurant has a deck on a bluff overlooking the reservoir and I decided to make my way out there and look at the water. Several other people were on the deck eating appetizers and enjoying some drinks. Three raccoons came ambling out of a brushy area on the far side of the deck and made their way toward a couple seated about 20-ft. from where I was standing. The couple began to toss chips to the masked trio who seemed to enjoy them immensely. I thought that this really wasn’t a very good idea, as sooner or later the couple would run out of chips. Sure enough, the small basket soon was empty and the couple had nothing else to feed to the raccoons. Two of the raccoons seemed to handle this development in stride but the third must have thought the couple was holding out on him and hissed/growled and pulled up on the seated woman’s leg. Needless to say, she flipped out, literally, in this case. The woman pushed away and fell over backward in her chair. Apparently, the commotion startled the raccoon and he ran away instead of pressing the “attack.” I couldn’t help but laugh, which made me even less popular with my wife’s former classmates. Despite the humorous ending to the situation, things could have really taken a nasty turn. People should never hand feed wild animals. Those signs at Yellowstone saying not to feed the bears are there for a reason. Something bad will eventually occur when a wild animal loses its fear of people and, worse yet, begins to associate humans with food. Raccoons are not nearly as dangerous as bears but they are no less single-minded when it comes to getting what they want. Check the video below out. It features a raccoon relentlessly pursuing a man who I’m guessing tossed the animal some food in order to get it to be still for a photo. The raccoon clearly associates this gentleman with food and wants seconds. While the raccoon does not appear to be overly aggressive it, nonetheless, is not taking no for an answer. What can we learn from Ms. Lee’s experience? She was not feeding these raccoons or trying to pet them. It is pretty simple. Always, always use caution when in close proximity to wildlife. Keep your eyes and ears open. Retreat when threatened, even by a small animal. No matter how cute and docile an animal may appear to be, do not feed it or attempt to touch it. Never hand feed wild animals. You are teaching them that humans mean food. This will only lead to a bad outcome sometime down the road (most likely for the animal). A raccoon attack? Just when you think you've heard it all. *Thanks to my friend Justin Horn who sent me the link to this story. Below is a 1978 spoof featuring a young David Letterman "reporting" on the bigfoot phenomenon. 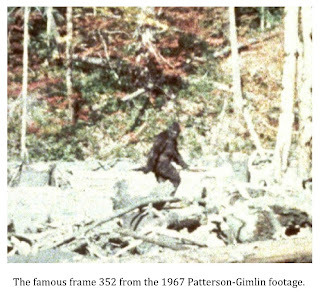 It takes me back to a simpler time before the internet brought the whole topic of bigfoot out into the light. It also reminds me of the days when I found Letterman funny. 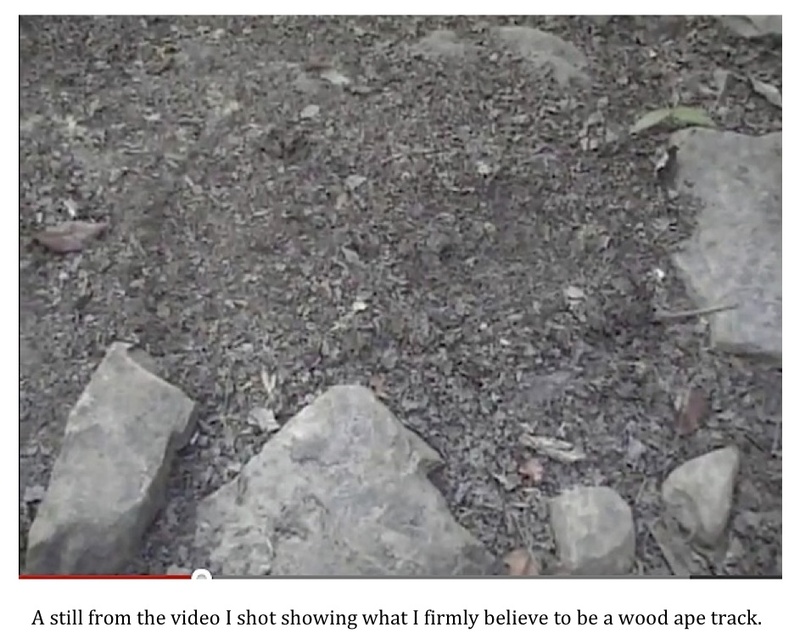 I have recovered a bit now from my week long excursion into the field in search of evidence that would help officially document the North American wood ape or sasquatch. The trip was very eventful and I will be sharing more specific details on the events that took place at a later date. In the meantime, I thought I’d share some of the highlights. I’ll start with my two “near death” experiences. Ok, that is a gross exaggeration but two situations, and maybe a third, did arise that could have taken a bad turn. The first incident involved a mountain lion walking into camp. Several of us were sitting around camp about 11:40 p.m. on Sunday 7/15 just visiting a bit. We were keeping an eye on the surrounding woods with some night vision equipment and one thermal unit. My friend with the thermal unit picked up a large heat signature coming over a hill right for us. As you might imagine, this got the old heartbeat going pretty good. As the figure approached, however, he quickly realized he was looking at a big cat. He described it as being three times the length of a gray fox that had been hanging around with a tail that was nearly as long as its body. The mountain lion walked down the hill and within about 30-40 feet of us as it proceeded about its nocturnal business. This is EXTREMELY unusual behavior for a mountain lion and we stayed a bit on edge and on high alert the rest of the evening. A friend of mine had a close-up mountain lion sighting only a few hundred yards from where we were camping a month or so ago. This leads me to believe that this spot is right in the middle of this big cat’s territory. Certainly, the presence of a cougar in the area, and a bold one at that, was something we all kept in the back of our minds all week but we did not see the cat again. My second scary moment occurred while I was walking a dry creek bed to the south of our camp. I was looking for any sort of sign that might indicate a wood ape was in the vicinity. I stepped over a fallen tree and found myself about five feet from a sunning cottonmouth. The moccasin did not take kindly to my disturbing its sunbath and quickly assumed the “S” position. I froze immediately but this did not seem to help the snake’s mood any. He decided that disturbing a good sunning session was a crime worthy of the death penalty and lunged forward at me. I’m sure the strike didn’t get within three feet of me but it sure felt closer. I was wearing snake guards and a solid pair of hiking boots, but that strike seemed thigh high (haha). I retreated back over the fallen log and the cottonmouth slithered under a large rock. I crossed again, taking a wide berth around that particular rock, and did not see the moccasin again. 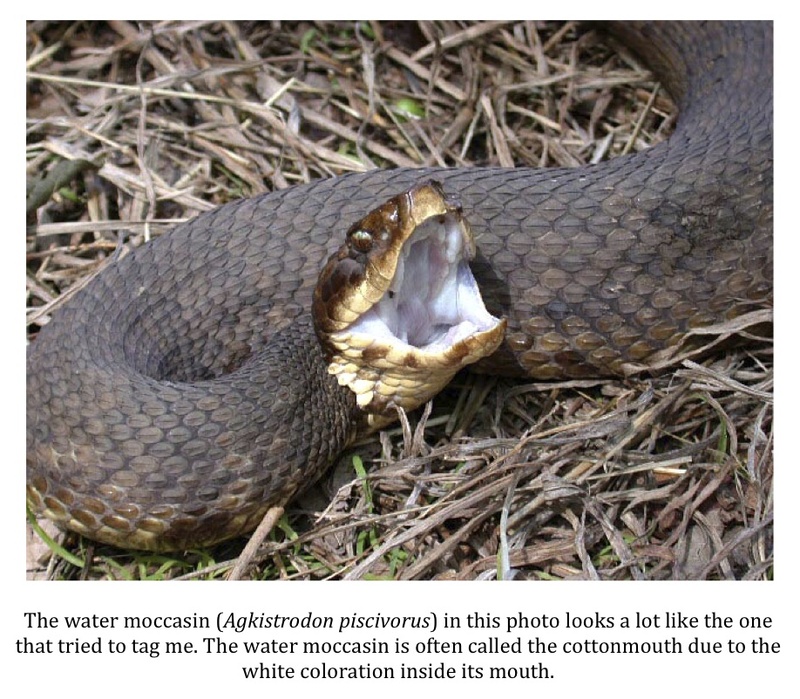 The cottonmouth has a nasty, nasty reputation, much of it blown way out proportion, but I must say this guy fit the stereotype perfectly. 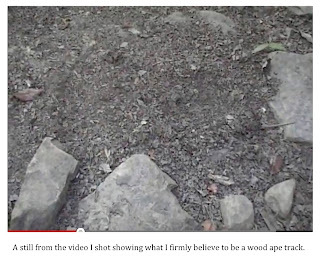 Late in the week we located a large track that I feel could only have been made by a wood ape. The track was about 14” long, 7-8” wide at the ball, and 4-5” wide at the heel. The terrain in this area is very rocky and the soil very thin. The track was located in one of the few spots on this particular trail that would have been capable of taking a track. Due to these factors, the track was not deep at all and, therefore, not suitable for casting. Toes were clearly visible and it looked like what we’ve all come to expect a bigfoot track to look like. Very big, very wide, and with toes that all seemed to be about the same length. Though it is difficult to see in this photo, there seemed to be a bit of a pushup in the middle of the track indicating flexion. This fits in beautifully with Dr. Jeff Meldrum’s theory that these animals have a mid-tarsal joint in their feet. I shot video of the track but am not including that footage here at this time. I have included two stills taken from the video. The first shows only the track while the second is the same still but with some notations made. I realized there is nothing in the photo to provide scale and I have broken my own rule here to some degree as I’ve always felt that anything in a photo needing a red circle around it, an arrow, etc. probably was nothing significant. The full video will be released at a later date and the track appears much clearer in it. The highlight of the trip for me personally was a brief visual of what I believe to be the very animal I was seeking. I was hiking to a dry creek bed to look for sign (a different tributary than where I met my moccasin friend). My friends and I had decided to spread out a bit and stagger our departures from camp. I was the first one to leave. As I was approaching a heavily wooded area I was stopped in my tracks by a deep growl. It was not long in duration and not unusually loud but the “that’s far enough” message was pretty clear to me. I stopped and saw a dark figure, at about my 2:00 position, moving through the woods away from me. It was late afternoon and the shadows were beginning to get a bit long but I was facing the N-NW so the area was backlit pretty well. The gaps between the trees, leaves, and undergrowth was lit brightly. As the figure moved away from me it blocked out this light allowing me to track it with my eyes. I had the impression it was quite wide. I cannot estimate the height as I could not see a “top” to the figure. The undergrowth was two feet high in most spots and had it been a bear, or any other quadruped I would have seen some light filtering through the vegetation over its back. This was not the case. I could not smell it nor hear it as it made its retreat. 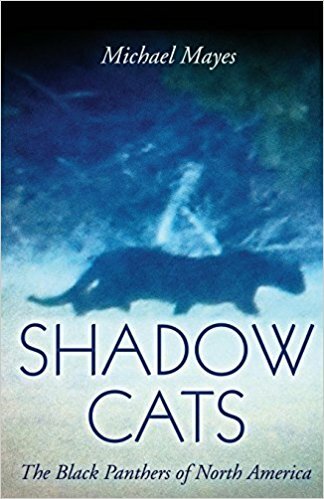 It was very dark in color but, as I mentioned, it was backlit by the sun, which could have made the animal appear darker than it really was. I radioed my friends who rushed to the scene. We spread out and proceeded through the woods in the same direction in which the creature retreated. We found nothing and I proceeded to the creek to continue with my original plan. I decided to call it a day shortly before the sun set and started back to camp. I briefly smelled the unmistakable odor of a wood ape on my hike back. I’ve only smelled this odor a few times in two locations (several times in the area in which we were camping this past week and once in the Big Creek Scenic Area of the Sam Houston National Forest). It didn’t last long and I did not have the impression that one was shadowing me. I made it back to camp without incident. I have no proof to back up my sighting claim. No photo or video. 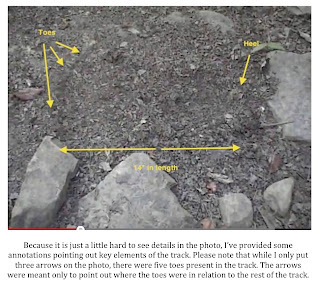 No supporting evidence like a track or broken branches showing a large animal moved through the area. I hope my reputation is good enough that you will afford me the benefit of the doubt. I’m not one of those “researchers” who seems to find a sasquatch behind every tree on every outing. I guess that’s why I don’t have a television show, haha. This is only the second visual I’ve had since 2005. I simply don’t make wild claims. There is much more to tell about what went on during this trip. A lot of strange and, at times, downright unnerving things occurred during my week in the field. It may have been the most eventful week I’ve ever had in the field. As I mentioned before, a more thorough report on the events of last week will be forthcoming at a later date. Trust me… it is going to be worth the wait. 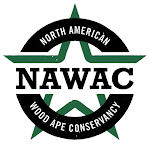 I will be headed out into the field in the hopes of documenting the North American wood ape, or sasquatch, tomorrow. Should be back in town on the 20th or 21st. I'll update you all then. That is the title of a shockingly fair, balanced, and serious article about the 1967 Patterson-Gimlin footage written by Scott Sandsberry that appeared in the July 10th edition of the Yakima Herald-Republic. It is quite refreshing to see the subject treated respectfully. Mr. Sandsberry is to be commended for his journalistic integrity and for resisting the temptation to interject his own opinions on the subject, whatever they might be, into the article. 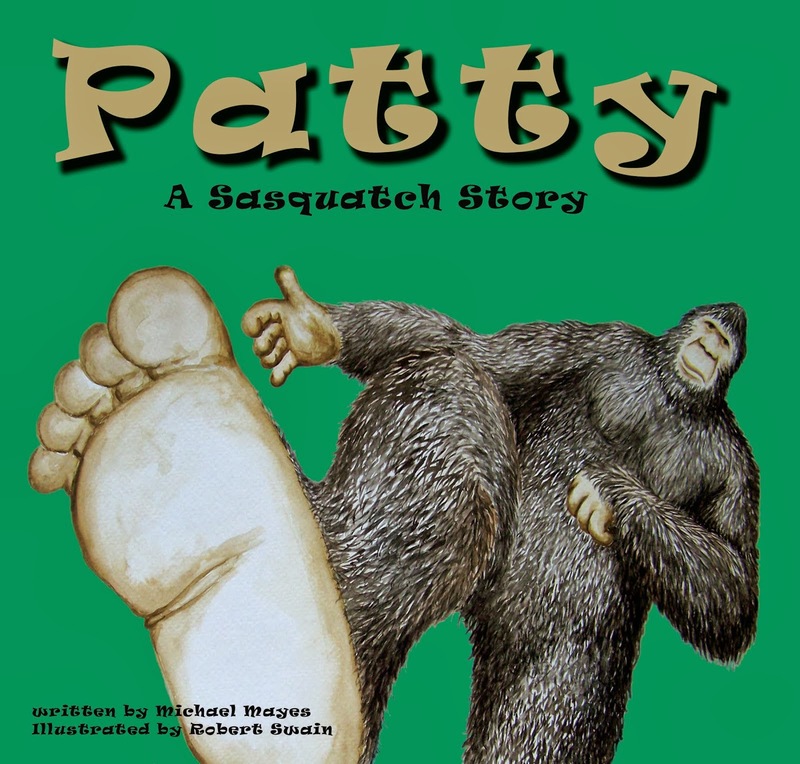 Anyone interested in the sasquatch phenomenon should check it out here. I would be curious as to how readers weigh in on this famous footage. Real or hoax? First of all, thank you , Carol, for taking the time to email me about this. I would like to say again that I would really like to hear from anyone who has had an experience with these animals. Coincidentally, the SyFy Channel is airing the season premier of Destination Truth tomorrow night (check local listings for time). The focus of the episode will be on the search for the Vietnam bigfoot. Check out a trailer for the episode here. 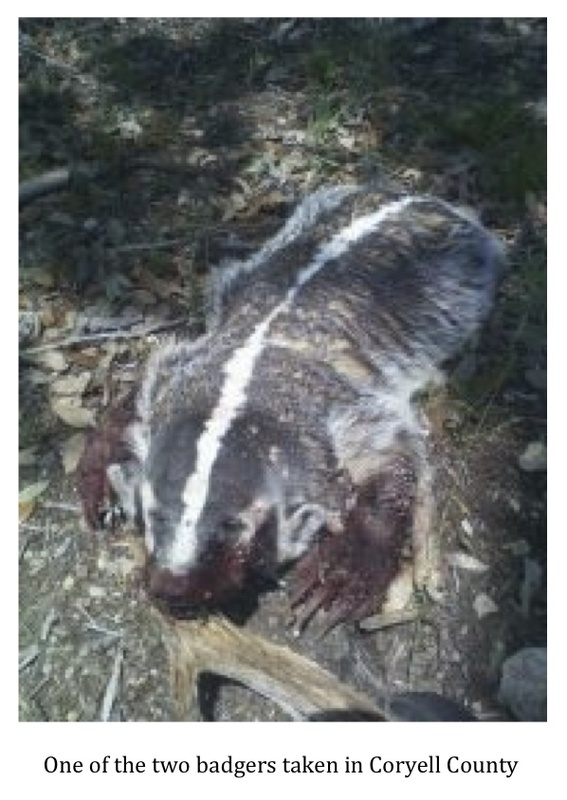 A reader got in touch with me yesterday and reported that a pair of American Badgers (Taxidea taxus) were recently taken on a Coryell County, Texas ranch. This particular ranch specializes in raising turkey and several different species of exotics. It seems the ranch owner had been experiencing some problems with an animal of some sort eating the turkey eggs. Coyotes were suspected so the owner had one of his hands go out to try and eliminate a few of the problem canids. This would not only prevent egg thievery but minimize the possibility that some of the young exotic ungulates on the property would be taken later. Instead of coyotes, however, the hand came across two very angry badgers. The largest, according to the reader who submitted this report, weighed 50 lbs. and the smaller animal 35 lbs. My guess is that the ranch hand stumbled across a mating pair (badgers mate in summer and early fall) and they weren’t happy about being disturbed. I can’t say I blame them for that but their protestations did them no good and they were quickly dispatched. Badgers are members of the Mustelidae family which also includes weasels, ferrets, otters and wolverines. They are stocky short-legged animals that have an almost flat appearance. 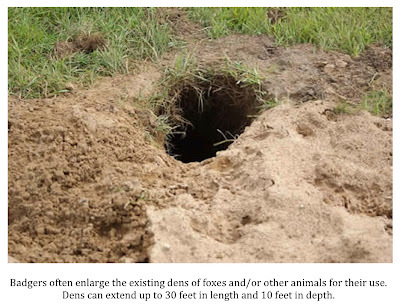 They are powerful digging/burrowing animals that possess huge claws on their forepaws. Badgers are easily recognizable due to their unique black and white facial markings highlighted by dark patches, or “badges,” on their cheeks and a white stripe that extends from the nose back to at least the base of the skull and sometimes farther down the spine. The rest of the body is covered with a coarse rough grey coat. The tail is short but thick and “bushy” in appearance. 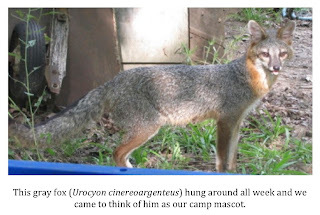 According to >The Mammals of Texas - Online Edition, males average about 22-25 lbs with females slightly smaller. That being the case, if the weights reported by the reader are accurate, these two badgers were particularly robust (possibly due to the rich diet in which they had been indulging). The badger is high on my list of animals I’d like to photograph. I’ve placed cameras overlooking suspected badger dens but have never had any luck getting a picture. This could be due to the fact that badgers tend to stay in a den for short periods of time only before moving on to another location. Compounding the difficulty is the fact badgers are mostly solitary (except for mating season) and most active at night. These factors make them less than cooperative subjects for a camera trapper. Badgers are fierce fighters with few natural enemies. They, like their wolverine relatives, can hold their own against even the largest of dogs and are often considered to be particularly ill-tempered. 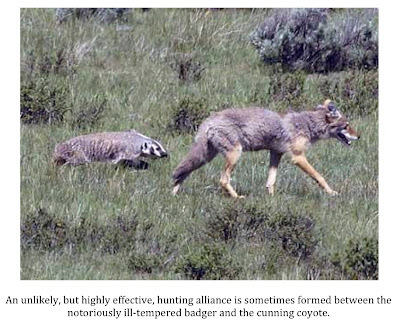 Even so, the badger is capable of cooperation as they’ve been known to partner with coyotes in a mutually beneficial hunting relationship. Badgers are strong diggers who tear into the ground after rodents like voles, ground squirrels and prairie dogs while the coyote will stand by to run down any of the prey animals that get by the burrowing badger. The combination of these two species working together is quite effective. It may surprise many that badgers range over most of Texas with the exception of the eastern-most part of the state. This is due in part, no doubt, to the fact that the University of Wisconsin has adopted the badger as its mascot. This had led many to believe that the badger is strictly a northern animal. That simply is not the case. 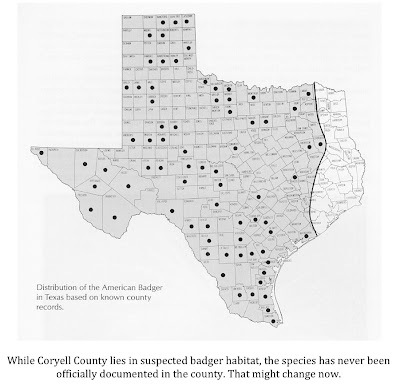 As you can see from the distribution map below, badgers are quite well known in Texas though they have not been officially documented in Coryell County. That fact makes this story even more unique. Either way, the taking of these badgers was legal according to Texas law. I am labeling this post under the “out of place animals” tag. One could argue that designation either way, I suppose. 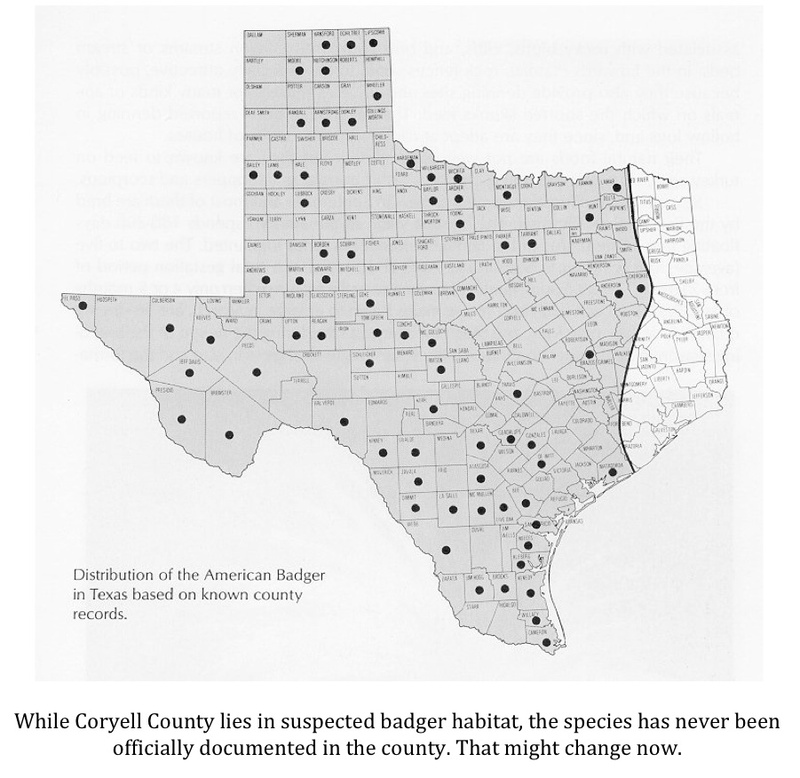 Badgers are known to roam most of Texas but the fact that they have not been officially documented in Coryell before now would seem adequate justification for the label. It just goes to show that if you are willing to get off the couch and look around a bit there is just no telling what you might come across in this great state. I've decided to give Twitter a try. Hopefully, it will allow me to comment on things in between blog posts. I'm hoping it will be a nice supplement to FB and Blogger. Just look for Texas Cryptid Hunter on Twitter. I just wanted to check in and let you all know that I have not chucked the whole blogging thing and ridden off into the sunset never to be heard from again. I’ve merely taken some time off to rest and recharge. I will admit that I’ve been suffering from an odd lethargy that I can’t completely explain. I just haven’t had a lot of energy lately. I’ve had plenty of rest and am running 4-5 days a week. I really have no explanation for this other than the fact that I’m 45 and not getting younger. All of that being the case, I decided to take the better part of the last month off. I did spend a week out in the field looking for signs of our favorite hair-covered biped. I also hope to spend one more week in the field before I head back to school this fall. So, it isn’t like I’ve not been doing anything at all. I hope to share some of the details with you regarding these two trips soon. Thanks to all who have emailed to check on me. I appreciate it. I’ve also received a couple of emails, one in particular, asking some questions. I plan to reply to those questions soon. Thanks for hanging in there with me. I’ll be talking to you all soon.